Some different Types of Mindless Eaters, are described in a book called "Eat, Drink and be Mindful" by Susan Albers, which is great. You can identify which kind of eater you are. This is the first step if you want to make some healthy diet habits! Which kind of Mindless Eater are you? You can have more than one! Once you identify them, you can begin to practice Lifestyle Solutions! Multitasking Mindless Eater: You do another activity while eating. Zoned Out Mindless Eater: You munch on food while watching TV, not really tasting or enjoying the food. Emotional Mindless Eater: You eat when you feel any emotion, positive or negative. Restaurant Mindless Eater: You see eating out as a treat, and tend to overdo. Time-Clock Mindless Eater: You eat by the clock, hungry or not. Clean Plate Mindless Eater: You must always clean your plate. Good Job Mindless Eater: You use food as a reward or treat. Free Food Mindless Eater: If it is free, you will eat it, hungry or not, even if you do not like it. Social Eater: You overeat or mindlessly eat with other people who are mindless eaters or at a party. Habitual Mindless Eater: You tend to have routines around Mindless Eating, like having a snack when you watch certain TV shows, or when you pass certain fast food restaurants. Snack Grazer: You meals may be good; but you eat many snacks or bites between meals. Portion Eater: You feel the urge to eat the entire serving, whether it is a bag, box or bowl. Youhave trouble stopping before the portion is done. See Portion Distortion! Desire to Feel Full Eater: You worry about not feeling full and sometimes overeat for fear of not being full. Multiple Items Eater: You like complex tastes. You are not satisfied with one item. Second Helping Eater: You tend to automatically go for another serving of whatever you are eating. Drawn to Certain Foods Eater: You eat healthy most of the time, but over eat certain types of foods, like carbohydrates, or sugary foods. Instant Gratification Eater: You see it, and you want it. The Oh Well Eater: You messed up today, so you gave up for the rest of the day. Secret Eater: You tend to eat in private or in secret. You may eat with others, and then later eat again when no one is watching. Convenience Eater: You grab what is handy or easy to eat, rather than preparing healthier options. This often leads to fast food and snacks. One for Me and One for You Eater: You mindlessly eat your kid’s leftovers, eat while feeding them, or eat off your partner’s plate. Tandem Eater: You eat the same amount, at the same pace as your friends. Love the Taste Eater: You enjoy the taste of food so much that you want more of it. This is a comprehensive list by Susan Albers, although I can think of others. How about dashboard dining? Anyone eat in the car? See if you can identify any more types of mindless eating that you are familiar with and send them in, and I will include them on the list! This is an important step, because awareness of your problem areas is the first step in making changes. 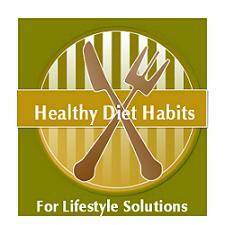 When you are aware of what you are doing, you can then develop healthy diet habits that are very specific to you. See my list of 100 Unhealthy Diet Habits that Weigh You Down! What are your Mindless Eating Types? You can purchase the book, Eat, Drink, and Be Mindful" by Susan Albers, below directly from Amazon.com. It is one of my "Top 10 Recommended Books" to read!